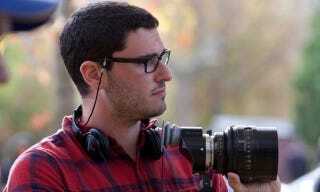 Josh Trank, who was attached to direct the second Star Wars Anthology film, has decided to depart the project. The Star Wars team is continuing to develop the project. Among those bumps: Trank has several small dogs who were left in a rented house in New Orleans while the film was shooting there. According to sources, as much as $100,000 worth of damage was done to the property. A source says the production considers any destruction of the property to be Trank’s responsibility. Kinberg, who is producing the second Star Wars standalone project (the first, Rogue One, is being directed by Gareth Edwards for a December 2016 release), is said to have communicated his displeasure with Trank to Kathleen Kennedy and the team at Lucasfilm. As the Star Wars brain trust heard more about Trank’s behavior and working style, they became less confident in handing over the film to him. The studio is now hunting for a new director to take over. Any recommendations?